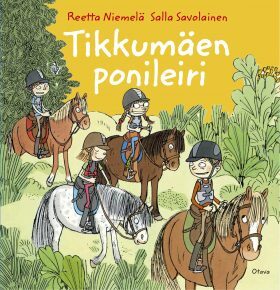 It’s Iiris’s first time at pony camp with her old friends Riina, Riku and Pauli. It’s exciting to sleep in the stable loft and take part in the traditional camp initiation in the forest. But nothing beats horse riding and taking care of horses. It’s fantastic to plait a pony’s mane or teach tricks by giving the ponies treats!